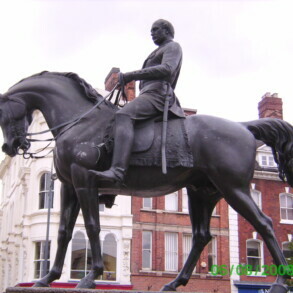 Prince Albert. 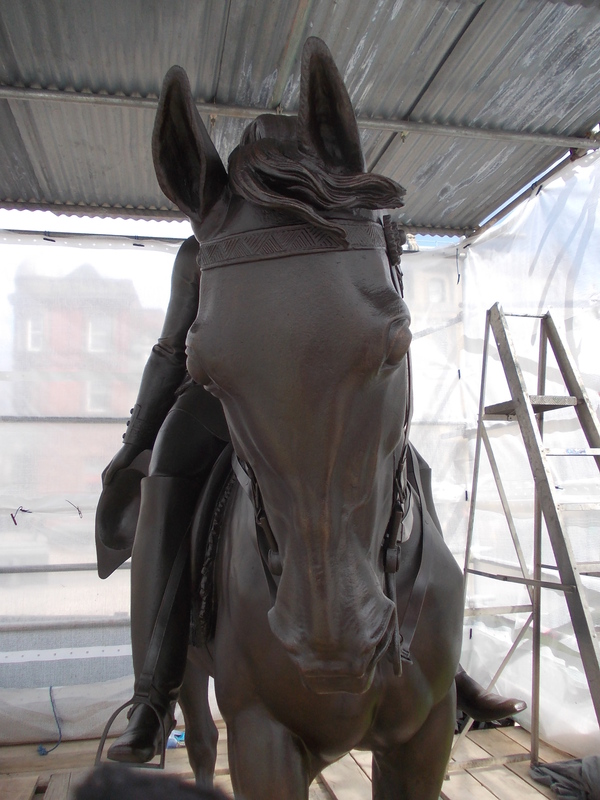 Bronze Sculpture Conservation. Queen Victoria is known withdrawing from public life following the loss of her beloved Albert. 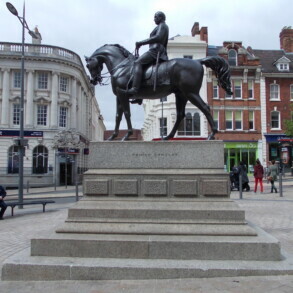 The unveiling of this statue in the centre of Wolverhampton was her first subsequent public appearance. 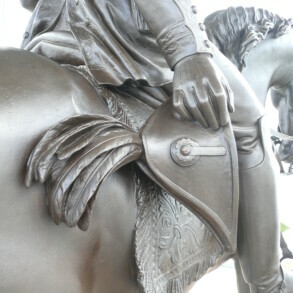 Eura removed degraded lacquer, remoulded the missing stirrup, straightened the bent scabbard and straps, repatinated and waxed to show the bronze as Victoria would have originally seen it. 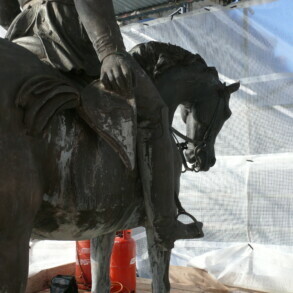 The plinth was cleaned and re-coated with anti-grafitti paint to complete the monument. 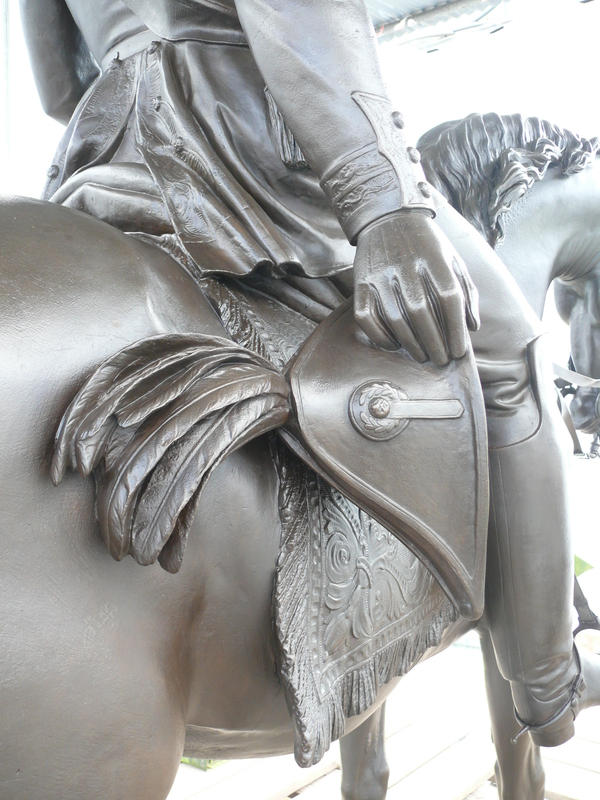 Prince Albert is portrayed in this Thomas Thornycroft sculpture in Field Marshall’s uniform with the Order of the Garter. 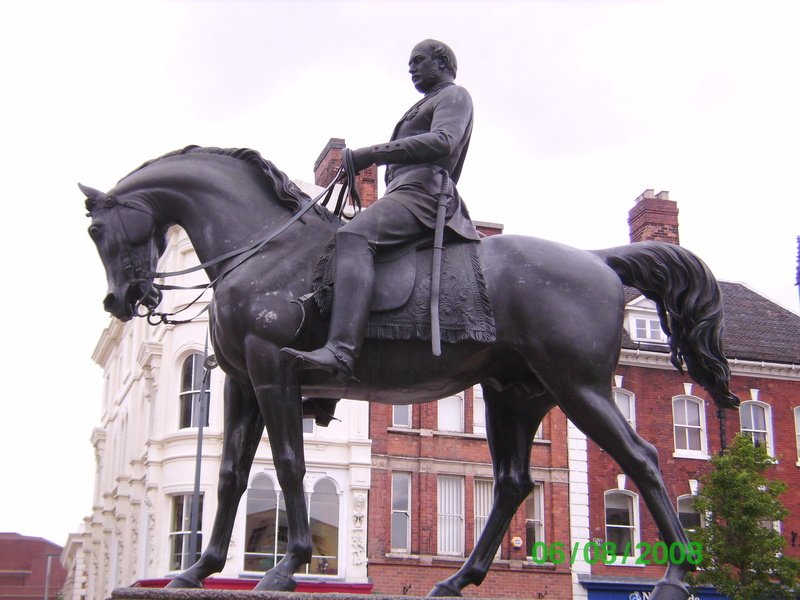 It was unveiled in 1866 by Queen Victoria when she visited Wolverhampton; her first public engagement following Albert’s death. 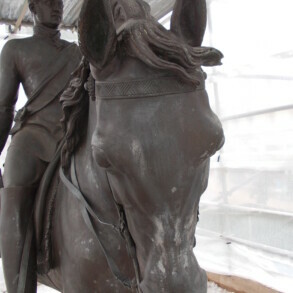 Over the years vandalism had resulted in a broken and twisted stirrup, a bent scabbard and various daubings of felt tip pen and chewing gum. 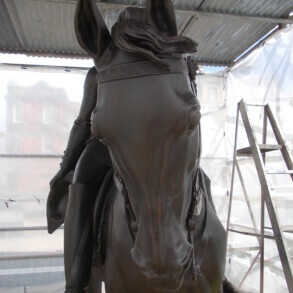 Eura Conservation was asked to clean, remove grey filler and replace with bronze, repatinate, remake the missing parts and wax the statue. 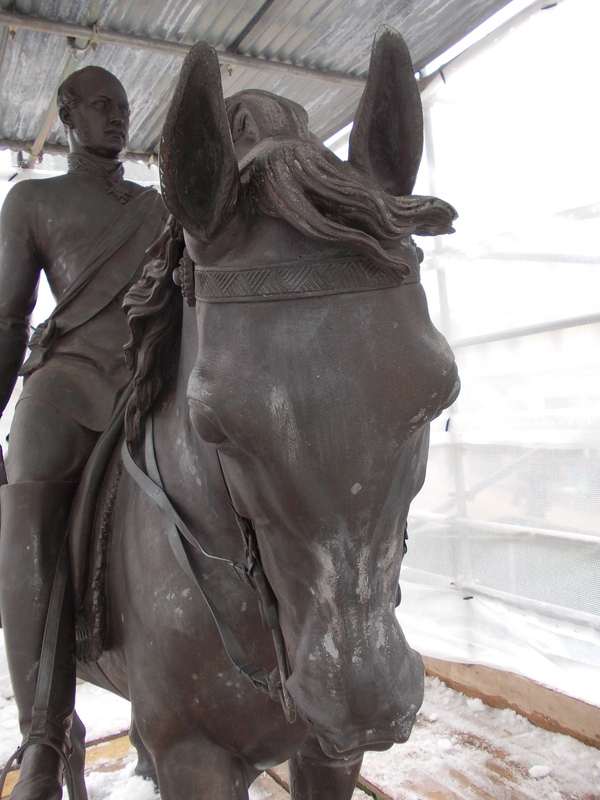 The plinth was also cleaned of its old anti – graffiti paint, cleaned of grime and yet more chewing gum and a fresh coat of anti-graffit paint applied. Michael Portillo, former M.P. and current presenter of the BBC show, ‘Great British Railway Journeys’, visited whilst work was underway and the memorial should feature in a future episode. Councillor Peter Bilson is reported as saying, “We are delighted with the final results of this long overdue work. 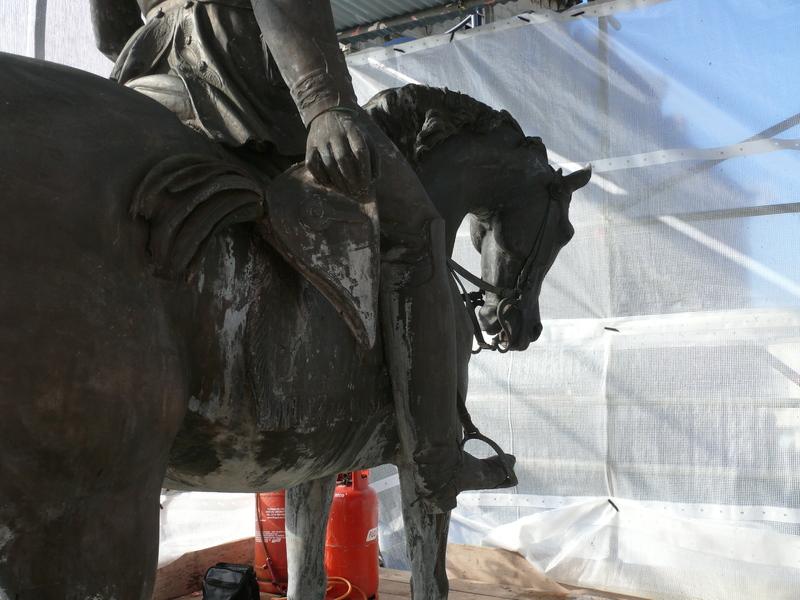 The repairs have made significant improvements to what is a recognised landmark in the city and one of great historical importance. 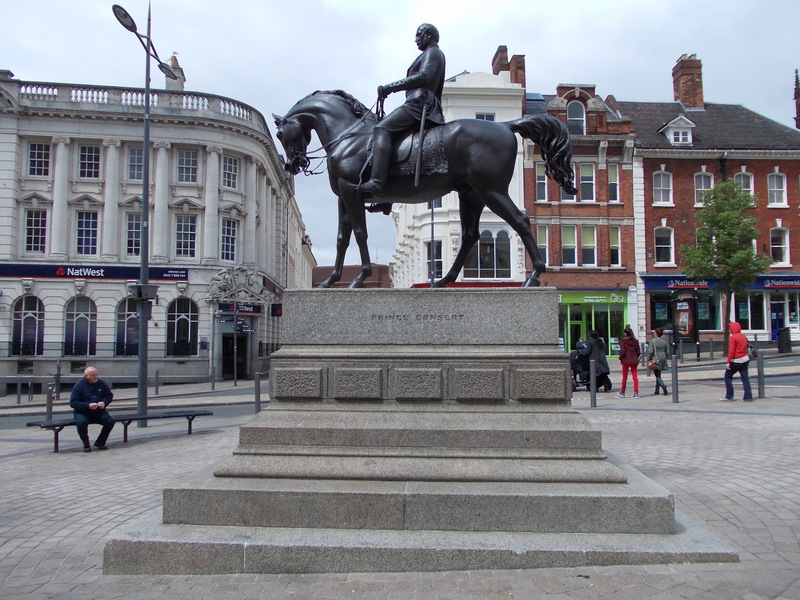 It is great to see the statue taking pride of place in the city centre and restored to its former glory.